"Di naman ako madramang ganun na sasabihin ko, ano?! gusto mo na ako mamatay?!" Click on "read more" to check out my VLOG 7 days after getting the Acuquit Treatment. 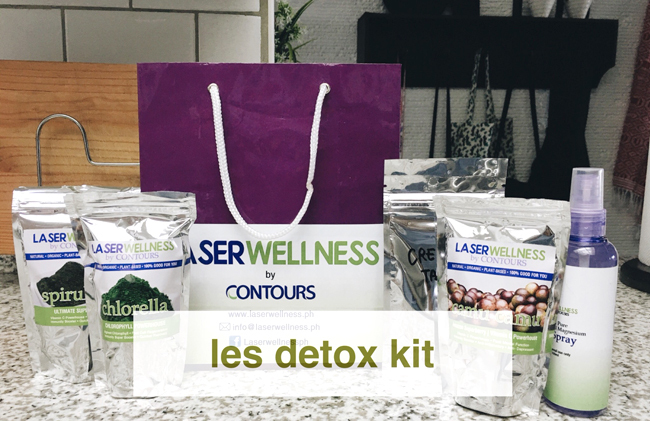 So when you get an Acuquit laser treatment at Contours, you have the option of purchasing a detox kit to go along with it for 2k. The kit includes magnesium spray, spirullina, chlorella, camu camu, cream of tartar as well as a detailed list of instructions on how and why you should take these. The main idea is to replenish nutrients lost during your time as a smoker. I highly recommend getting this package. If you're a smoker who has no intention of quitting, I think you should get one of these too...for extra vitamins and minerals. hehe. ARE THERE ANY VISIBLE BENEFITS AT ALL TO QUITTING SMOKING? Seems interesting but not sure if I'll try it not much of a vain person or I no longer need it ha!ha! But thanks and good luck to you as well. Good for you! Stay healthy and keep it up! I actually agree - if they put in ads about its effects on the skin, maybe people will smoke a little less :P When I was younger, I used to smoke *whoops* when I was in a bad mood. I didn't do it regularly, but having your version of "warning" would've convinced me before to not even try. So happy for you and here's wishing you more luck. Yes to tighter and healthier skin minus cigarettes. This is nice to aid those who want to quit smoking. And it is really important to stay healthy indeed.